This is our third time playing ULTRA Europe and we are so blessed to be invited back. ULTRA Europe is a really important summer festival, playing in front of so many different people from all over the globe! The energy is unmatched and Croatia is an incredible place. We can’t wait to play alongside so many of our friends and fans. 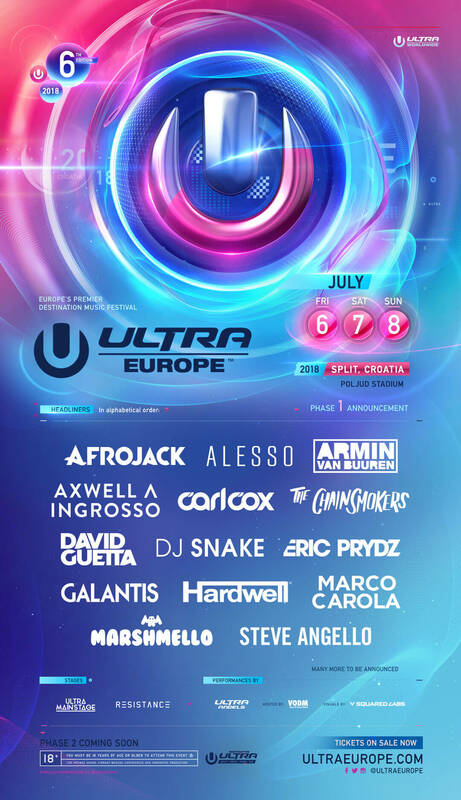 The famous weeklong ‘Destination ULTRA’ experience will also return, running from July 5-11, with several world-class events spread across seven days of jubilation. From the stunning Brač Regatta, to ULTRA Beach Hvar, dubbed ‘the greatest pool party on earth’ (The Sun – 2017), to the RESISTANCE Vis closing party at the ancient Fort George on the final day, paradise seekers worldwide will not be left disappointed.